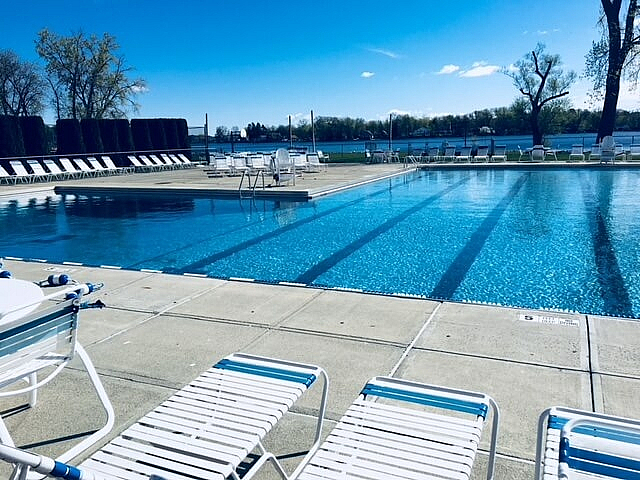 Water's Edge/Woodlands on Saratoga Lake features a wealth of entertaining indoor and outdoor amenities, which play host to athletic activities, social gatherings, and relaxing, spa-like facilities. Heated indoor pool maintained at 85 degrees. 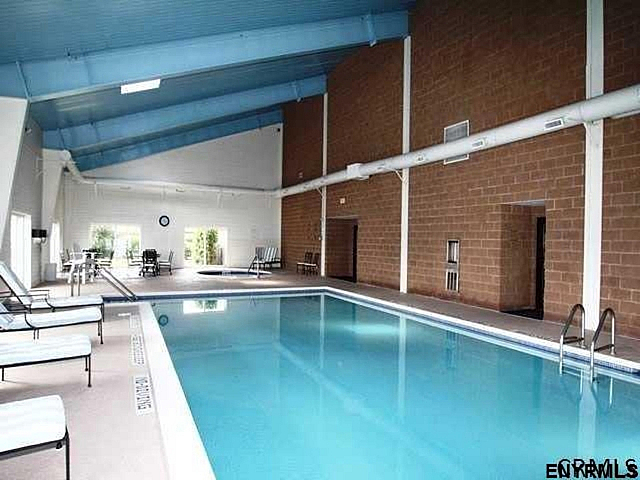 Mixed-use pool for laps , recreation, aqua water aerobics, and swimming lessons. Pool area is equipped with lounge chairs, tables, and chairs. Sit and soak away the cares of your day in our over-sized 10-person hot tub. 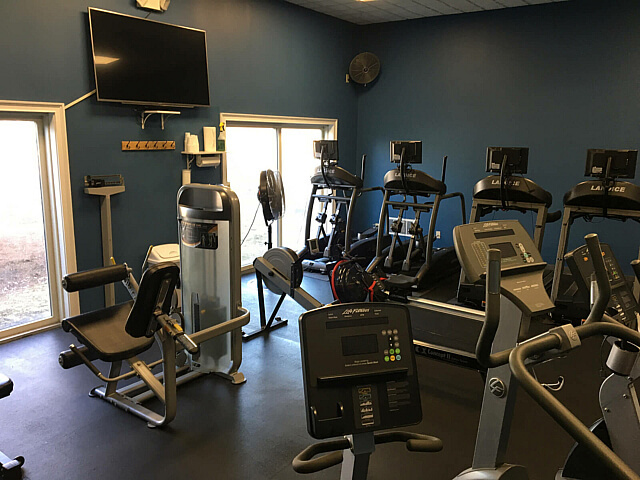 A variety of fitness equipment including, treadmills and ellipticals with personal TVs, stationary bikes, and strengthening stations. Watch the news or entertainment on our large TV while performing your daily exercise routine. Winter in New York doesn't have to spell the end of tennis and racquetball season. 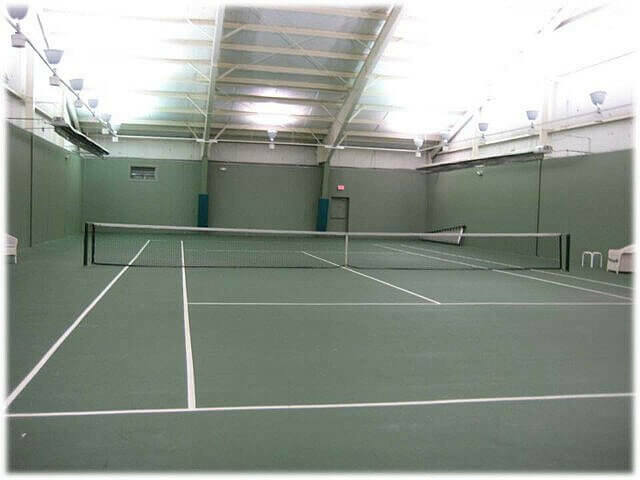 Our heated indoor tennis and racquetball court are available for year-round use by all residents. 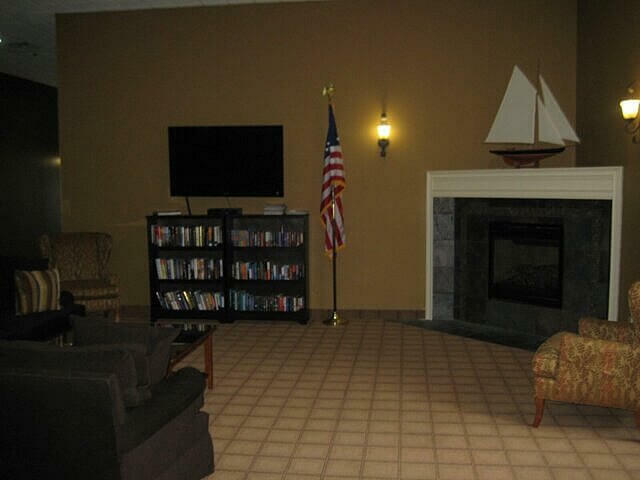 Join your Water's Edge/Woodlands on Saratoga Lake neighbors in the relaxed surroundings of our newly renovated Great Room, complete with a gas fireplace and comfortable new furnishings. Spacious and inviting, the Great Room makes a cozy retreat on winter nights and an air-conditioned respite from the summer sun. 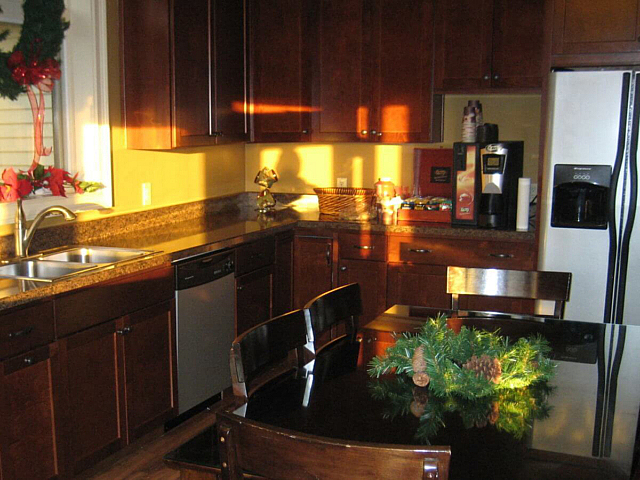 As a Water's Edge/Woodlands on Saratoga Lake resident, you'll have access to our expansive kitchen facility. Recently renovated with contemporary cabinets, counter-tops, appliances, and hardwood flooring, the kitchen is perfect for private gatherings and social events. Community members have combined their skills and talents to offer community residents a variety of active adult experiences throughout the week. There are several organized efforts to enjoy the center and join your neighbors in healthy activities and classes. The outdoor pool ranges in depth from a generous 3-foot wading area to 14 feet, with fully designated lap lanes. Ample poolside seating with a gorgeous view of the lake makes for a great place to sunbathe or relax with a cool drink. Dock your watercraft in one of our 104 slips or in our small vessel storage facilities in the private marina. 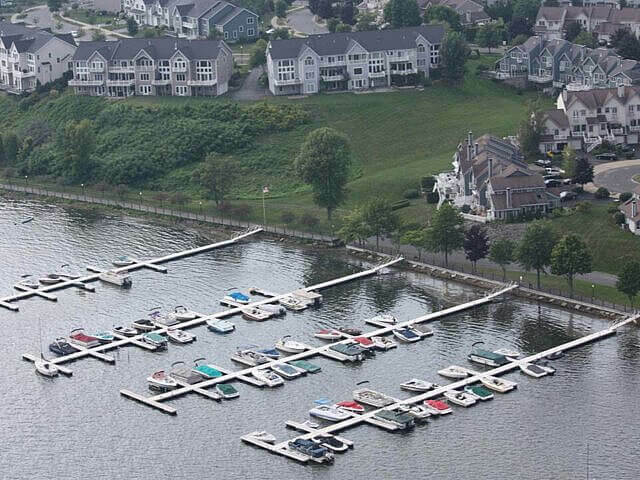 For your added convenience, Water's Edge/Woodlands on Saratoga Lake also has its own launch area for kayaks, canoes, and other small watercraft. 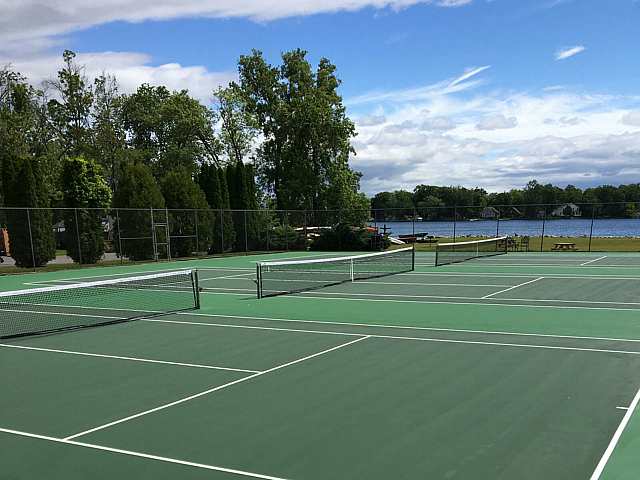 Practice your game night or day on one of our 3 lighted tennis courts. 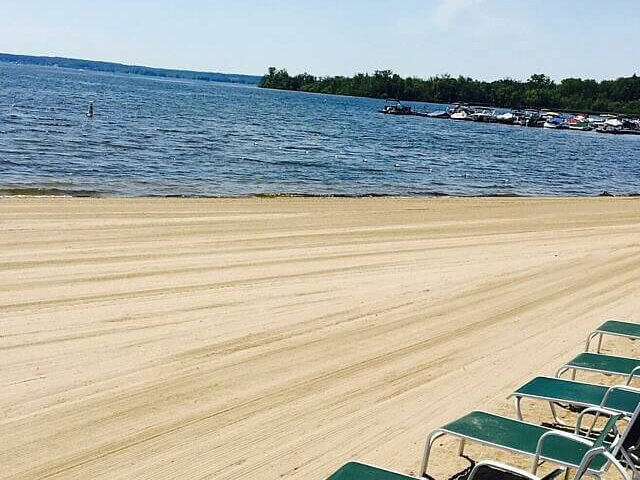 Soak up some sun, splash around, or serve up a game of volleyball on Water's Edge/Woodlands on Saratoga Lake's beautiful private beach. Imagine stepping out your back door and dropping your line in your own community fishing pond. 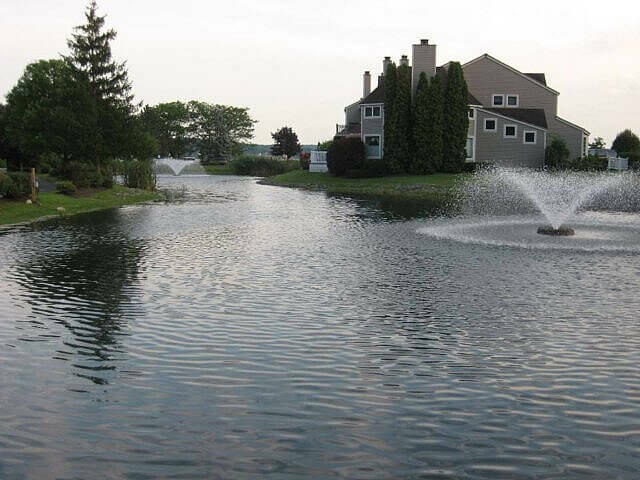 As a Water's Edge/Woodlands on Saratoga Lake resident, you'll have unlimited access to bank fishing in our fully-stocked fishing pond loaded with bass and various other species of fish. 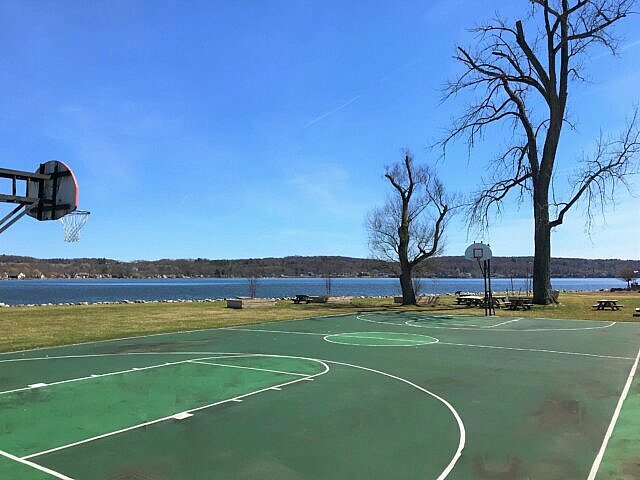 Water's Edge features a full-size basketball court where you can join your neighbors in a game or just shoot around by yourself. 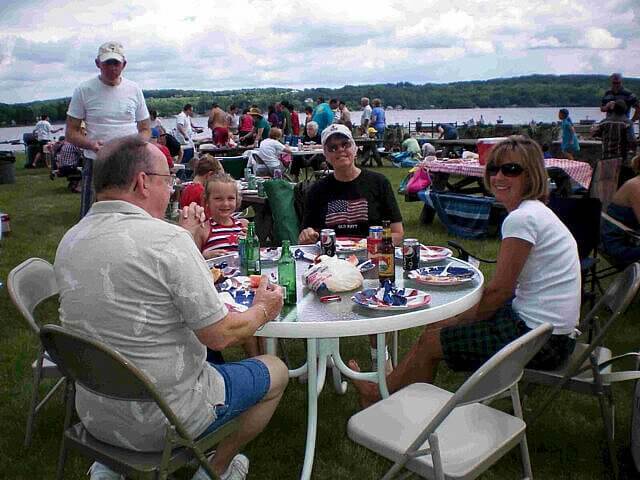 A secluded, lakeside grove complete with picnic tables and propane barbecue is the perfect place to have a picnic or family outing.